Vertebral compression fractures are surprisingly common afflictions and can occur at any age. The term refers to when there is a breakage of the spinal bones resulting from a traumatic injury. A variety of internal and external factors can influence how and why vertebral fractures occur, though older individuals may be more susceptible. It can in some cases take minimal force for a vertebral compression fracture to occur, particularly in the elderly with osteoporosis. A vertebral compression fracture typically occurs in the lumbar or thoracic spine. 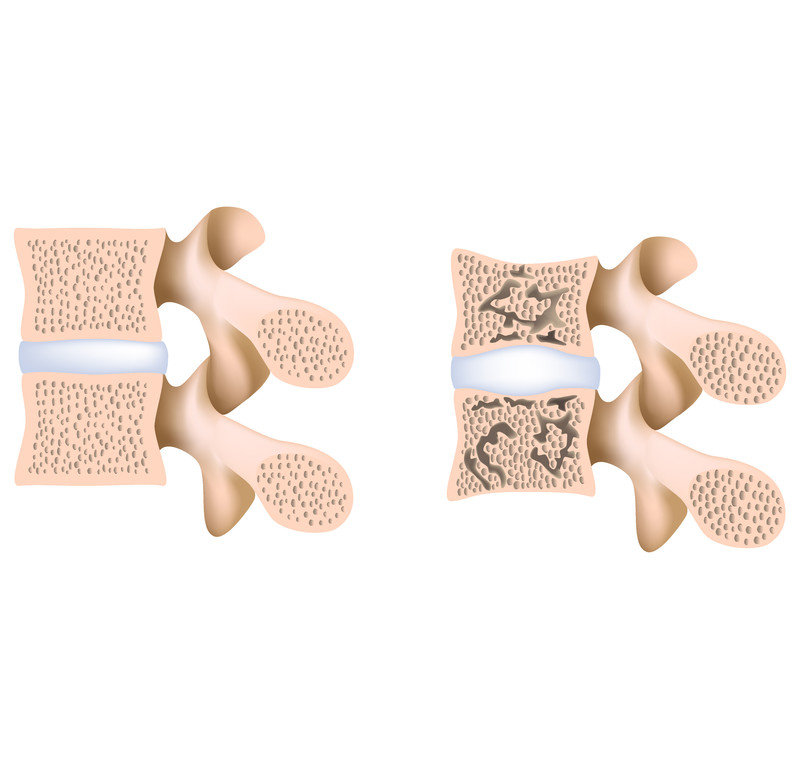 One of the most common causes of the vertebral compression fracture is osteoporosis – also known as brittle bone disease. This is where the strength and general integrity of the bones begins to deteriorate to such an extent as to allow them to be broken or damaged with minimal force required. In fact, those with rather advanced osteoporosis may find that it takes nothing more than a violent sneeze or the slightest knock to suffer a painful vertebral compression fracture. Over 750,000 VCF’s occur annually in the US. In younger individuals, it takes significantly more trauma to fracture a vertebrae. This may occur in a car accident, a fall from a height or something like a skiing injury. What are the Symptoms of a VCF? Most compression fractures are silent, and no symptoms exist. This is interesting, as when an individual does present with a painful VCF several earlier fractures may only then be identified. Symptoms may include pain, aching and spasms in the general area of where the fracture has occured. Additionally, if the fracture occurs in the thoracic area, then pain may radiate around the flank due to irritation of intercostal nerves. Usually, pain persists for a few weeks to months. It will vary from one individual to another. 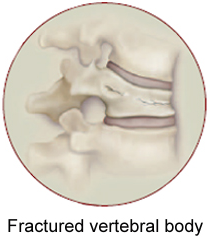 What Treatment Plans Help with Vertebral Compression Fractures? 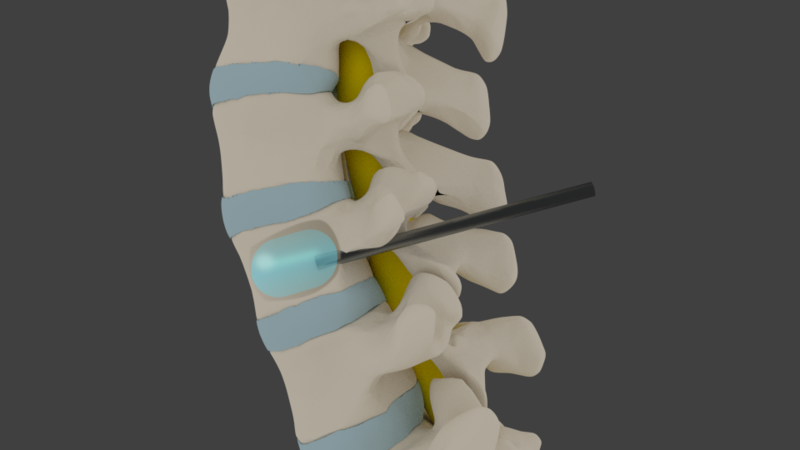 Epidural injection to relieve the flank pain. If the above treatments do not help enough, then a vertebroplasty or kyphoplasty procedure may be useful. These are helpful over 90% of the time at incredible pain relief that often works immediately. What is the Prognosis of a Vertebral Compression Fracture? For the vast majority of cases, compression fractures do not cause long term pain. The kyphoplasty procedure has been a revolutionary advancement in the treatment of VCF’s, and is available as an outpatient treatment. All in all, over 95% of patients are able to achieve pain relief with the above options within six weeks. Seattle Pain Relief provides all of the treatment options with Board Certified Seattle pain doctors.